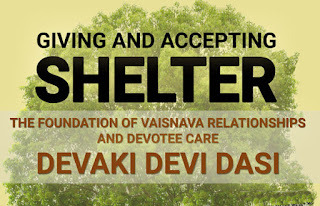 Seminar: Giving & Accepting Shelter - Devaki devi dasi ~ The Toronto Hare Krishna Temple! In spiritual culture giving and accepting shelter is the very basis to any meaningful relationship: we are always giving shelter to inferiors and accepting shelter from superiors. If this is not there, our relationships will be superficial. 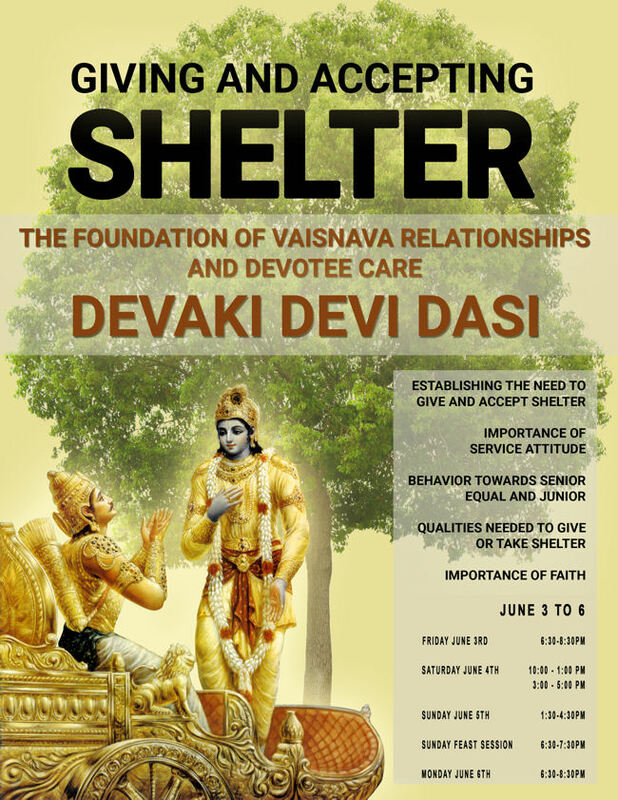 The Toronto Hare Krishna Temple is very excited to announce a special educational course with Devaki devi dasi, who will be making her first visit to Canada. In this course students will discover the necessary qualities to be eager for shelter, and the qualities we have to develop in order to give shelter, and what blocks us the most from giving and accepting shelter. 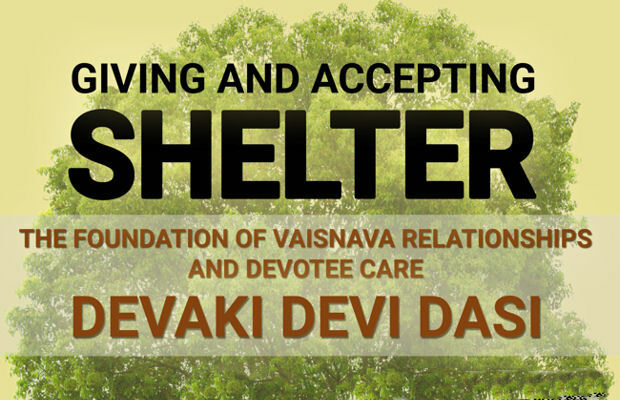 We will also receive insights how this principle of shelter forms the foundation to "Devotee Care". Please mark your calendars for the upcoming Seminar with Devaki Mataji. Please Pre-Register by clicking here. Devaki Devi Dasi was born in Germany in 1958 and, after a long search and journey, joined ISKCON in Sydney, Australia in 1985. For the last sixteen years she has been regularly visiting Ukraine, Moldova, Sweden, Germany, Nepal, India and Bangladesh. 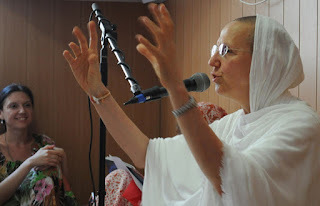 She helped establish Bhakti Sangam Festivals in Bangladesh, Nepal and Sweden and is regularly conducting Holy Name Retreats in Ukraine, Moldova, Sweden, Germany, Bangladesh and Ekachakra. She was serving for several years as a member of the GBC Committee for Devotee Care and promotes spiritual care of every ISKCON devotee to the highest level of priority in our movement. In March 2014 she established the Institute for Spiritual Culture. Hare Krsna! We hope you will be able to make it for the seminar! It's a great idea to put up a post about our monthly donor program! We will work on that. Until then, if you would like to join our monthly donor program, please write to templecouncil@torontokrishna.com. I know it is beneficial to attend the whole seminar but is it possible to attend parts of the seminars?